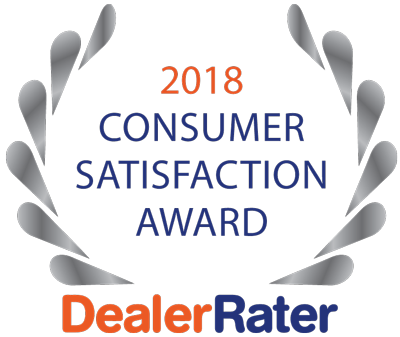 We’ve Won the Dealerrater Consumer Satisfaction Award! This award goes to the top 10% of dealers in the United States and Canada and is decided similarly to the Dealer of the Year award. We would like to thank you all for submitting your reviews because without you, our amazing customers, we could never have won this. We are pleased to continue serving you all the best way we can and look forward to a positive review-filled year.